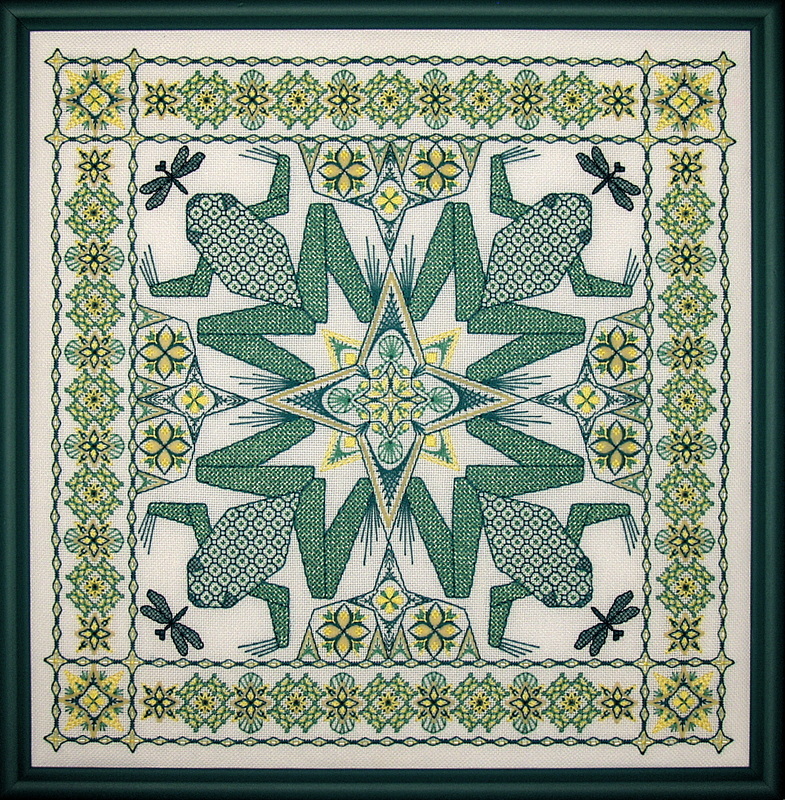 These irresistible whimsical frogs were adapted from a quilt design. An elaborate geometric border was added to the four-way arrangement to give the frogs a framework that suggests a pond setting with lily pads. The bodies of the frogs are embellished with a blackwork pattern that is superimposed over a laidwork foundation. The legs are filled with a Web variation, and the background area is filled with fun parabolic stitches inside the star motifs. The main outlines are defined with a counted Assisi style back stitch framework, and large placement and sequence charts are included of all of the fillings.